Hey there! It's Laurie Willison here. 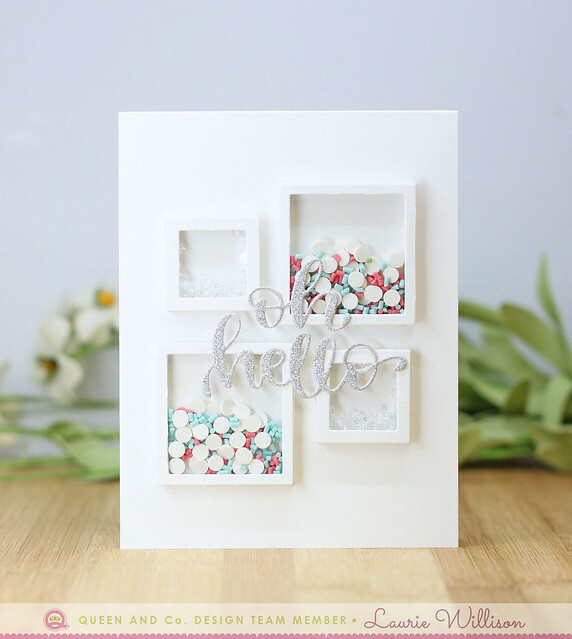 I am stopping in with a couple of shaker cards, one created with the Pretty Presents kitand one foam front card. 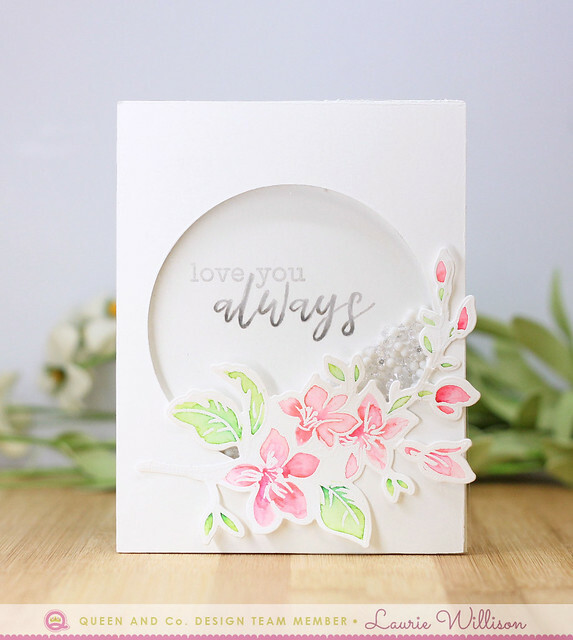 I used the foam boxes from the Pretty Presents Kitto create this card. I used the Present dies too but cut them down so that I would just have the square frame. I filled 2 boxes with Confettiand Sprinkles and the other 2 with the clear stars from Jewels Toppings. 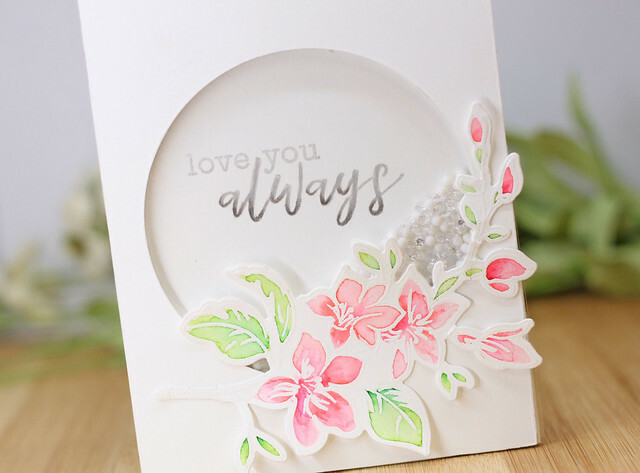 I added a glittery sentiment die to the front of this card to finish it off.